PD Ports, one of the UK’s major port operators, has been officially accredited with the internationally recognised quality mark of Authorised Economic Operator (AEO) for its operations at Teesport by Her Majesty’s Revenue and Customs (HMRC) affirming the Port’s efficient and robust processes to shippers worldwide. Within the Northern Powerhouse, Teesport has become the first port to gain AEO status. It was awarded following a 12-month internal review process that culminated in an audit from the HMRC to ensure all port operational processes, IT, security, storage, procurement and HR procedures met with strict requirements. 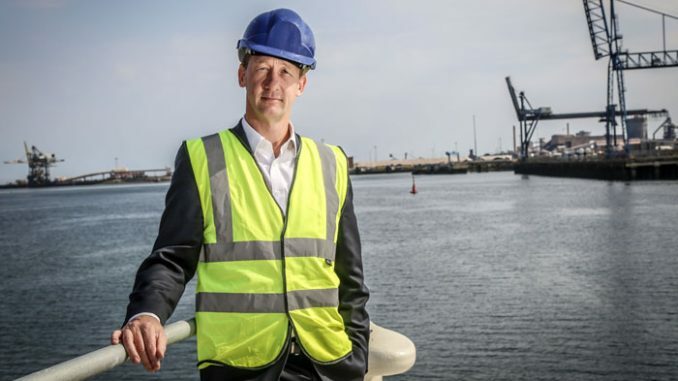 PD Ports chief executive officer Frans Calje said: “Gaining AEO accreditation reinforces the strength of our commitment to shippers currently using Teesport or looking to the Port as an integral part of their supply chain and is a solid vote of confidence in the high standard of our port operations.